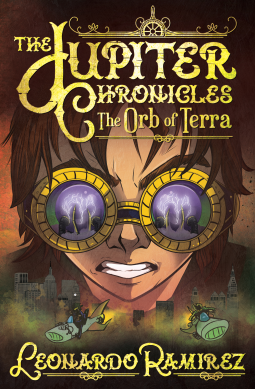 In the tradition of “City of Ember” “A Wrinkle in Time” and “Star Wars”, this family adventure is a high stakes space race to save our world from an invading force before it is too late. Will Ian’s quest to find his destiny away from Jupiter lead to Earth's untimely demise? As he struggles with his identity, Ian Castillo helps one of Earth’s greatest scientific minds, Dr. Nikola Tesla, make the scientific discovery of a lifetime: a strange mineral that can perhaps power our world for years to come! They discover it is not just an energy source, but something much more! When the device powered by the mineral is activated, it awakens a sleeping giant buried under the Earth by the Martians generations before. The beast known as “Gigantes” leaves behind a trail of destruction and calls out to a deadly enemy headed for Earth. And the secret inside the mineral will change everything for Earth and the entire Jovian Realm…forever.